Ticket Parade offers students from the Macarthur region the opportunity to attend a series of professional dance or contemporary theatre productions and practical workshops lead by professional artists, across greater Sydney. 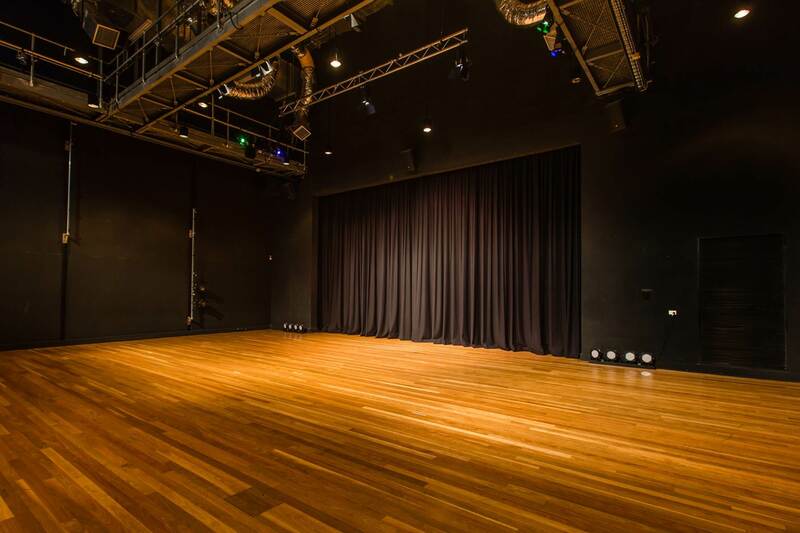 Students will also be provided exclusive ‘backstage’ access and the opportunity to talk with the creative team; directors, writers, actors or technicians. This experience will be guided by Campbelltown Art Centre’s Education and Curatorial staff. Both the Dance and Theatre Programs for 2018 2018 and will include 4 evening or weekend productions across the year at companies including Sydney Theatre Company, Sydney Dance Company, Bangarra Dance Theatre, Belvoir, Powerhouse Youth Theatre, FORM, Griffin Theatre. The program will take place outside of school hours during the students own time and independently from their teachers and parents. The students will be under the care, supervision and leadership of Campbelltown Art Centre Education and Curatorial staff at all times. Transport each way will be provided by a professional bus service with the pickup and drop off point being Campbelltown Arts Centre, 1 Art Gallery Road Campbelltown. This program is free for participating students. Ticket Parade is tailored to complement students’ High School studies, giving them the chance to learn about new technologies and processes of contemporary theatre and dance production. It will enable students to learn about vocational pathways in the arts and their potential to pursue tertiary creative studies and a career in the arts. The project aims to be an experiential learning process, linking students to each other, to professional Sydney-based arts companies and contemporary practitioners. Ticket Parade aims to prepare students for major works to be devised as part of their HSC studies. Thank you to our partners, Sydney Opera House, Bangarra Dance Theatre, Merrigong Theatre, Performance Space, Griffin Theatre, Belvoir Street Theatre, Powerhouse Youth Theatre and Casula Powerhouse. The applications will be assessed by a panel and students selected to participate based on their responses to the questions outlined in the application form. C-A-C will then contact you and your parent/carer to let you know the outcome of your application. C-A-C will send your parent/carer a form for any medical needs and photo permissions as part of this program. You will need to return a signed copy of this paperwork prior to commencing the program. C-A-C will send you a schedule of the program with dates of each production and travel times by Friday 2 February 2018. Feel free to contact Matt Prest for more information or to discuss different ways to apply. The personal information that Council is collecting from you is personal information for purposes of the Privacy and Personal Information Protection Act 1988. Campbelltown City Council will be the holder of the information, and may share this information with Council staff, Councillors, contractors and other agents of Council. The supply of the information is voluntary, however if you do not supply the information Council may not be able to provide the service. Campbelltown Arts Centre is a cultural facility of Campbelltown City Council and is assisted by the NSW Government through Arts NSW and by the Federal Government through Australia Council for the Arts, its art funding and advisory body, and receives support from the Crown Resorts Foundation and the Packer Family Foundation. Tennies is a Campbelltown Arts Centre education program. The term 4 series is presented with support from Kaldor Public Art Projects.